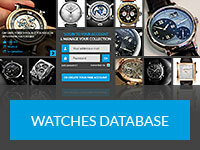 Nick Meijer is a long-term watch aficionado with a special interest in the high-end market of mechanical wristwatches. His admiration led to the start of his own blog, WristWatchworld, publications on other blogs and a growing number of followers on twitter @wristwatchworld. Nick has a keen interest in independent watchmakers.